1---A fee of $5 is payable in advance by credit card for non-members attending the discussion event. 2----Attendees watch the film in advance on Netflix and then discuss the film at the event. In a world of sound-bites, documentaries provide an opportunity to think, understand, share, and expand our experience. Documentaries provide the perfect topic for meaningful conversations. The Documentary Film Group gathers one afternoon each month to discuss a documentary film. 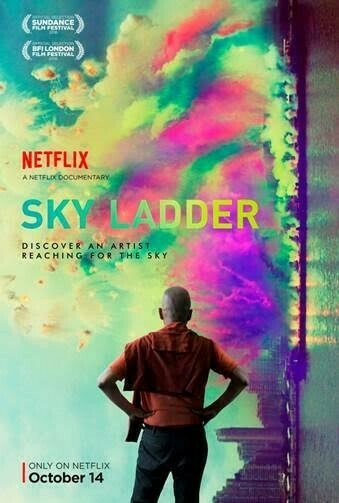 The documentaries are all available on Netflix unless noted otherwise and participants should watch the documentary selection before coming to the meeting where we will discuss the film. 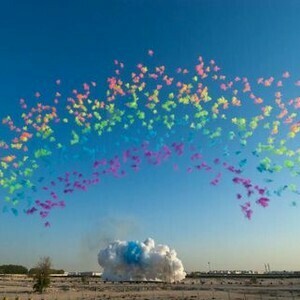 Known for his spectacular pyrotechnic displays, Chinese artist Cai Guo-Qiang creates his most ambitious project. 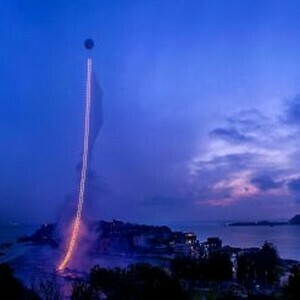 The Sky Ladder is a 1,650-foot ladder of fire climbing into the skies above artist Cai Guo-Qiang's hometown. Creating ambitious signature pieces on the largest imaginable scales, Cai's electrifying work often transcends physical permanence while burning its philosophies into the audience members' minds. Told through the artist's own words and those of family, friends and observers, the film tracks Cai's meteoric rise and examines why he engineers artworks that loom as far as the eye can see. The regularly scheduled meeting is on the afternoon of the third Thursday of each month. The date for a particular month may change for various reasons, so check the event posting for the current month when it is updated. Questions: Contact Linda Maitand at lindaemaitland@gmail,com (281-235-9791) or Beth Laughlin at waycoolmrsl@gmail.com (713-503-7763). If you would like to nominate a film for discussion, please send your suggestions to Linda.